RHB TrusteeRHB Trustee features fully-integrated, innovative and comprehensive services for your wealth protection and distribution. Choose one that best protects and grows your wealth. We manage the unit trust schemes with due care and diligence to safeguard the rights and interests of your investments. We maintain the highest levels of quality, accuracy and timeliness so you get the right information in a timely fashion. We act as custodian of assets of trust funds so your interests are safeguarded and upheld at all times. Express your intentions to your loved ones with our professional services. A comprehensive system that ensures the safekeeping and easy retrieval of your will to prevent delays in distributions. Your will (and your loved ones) are in good hands with our qualified professional executors. 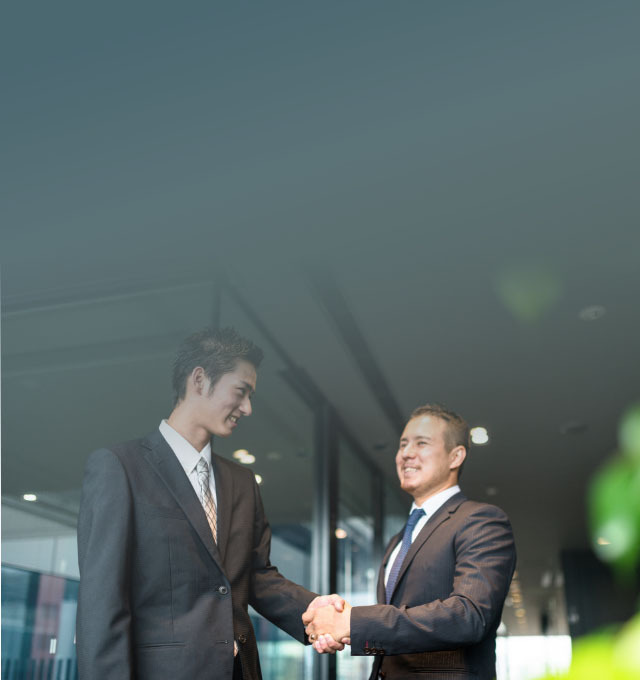 Ensure your business’ continuity in the event of the departure of a business partner. Protect and safeguard your wealth. Choose the right administrator to ensure smooth and efficient distribution of your estate. Plan for all contingencies to ensure security to your loved ones. Ensuring your trust is confidential and protected. Plan for wealth distribution, preservation, protection and distribution with complete confidentiality and protection. We are here to help with professional independent and impartial stakeholder and escrow services. We help your wealth distribution to minor children, elderly parents and dependent next-of-kin. Appoint an independent trustee to administer ESOS in with well-regulated and reputable expertise for good corporate governance. Need a trustee for your deed? Come chat with us. Setting up your own provident fund? We are the trustee you need. Comprehensive trustee services for businesses and corporations. We provide trustee and security trustee services for your debt restructuring exercise. We act as your bond, security and share trustee, transaction administrator and process agent. UTS are a form of collective investment scheme that are structured to allow investors with similar investment objectives to pool their money together and invest in a portfolio of securities or other assets, which are managed by professional fund managers in accordance with the investment objective of the UTS. The tripartite relationship between the unit holders, trustee and manager to a UTS is governed by a deed. UTS are regulated by Securities Commission Malaysia. 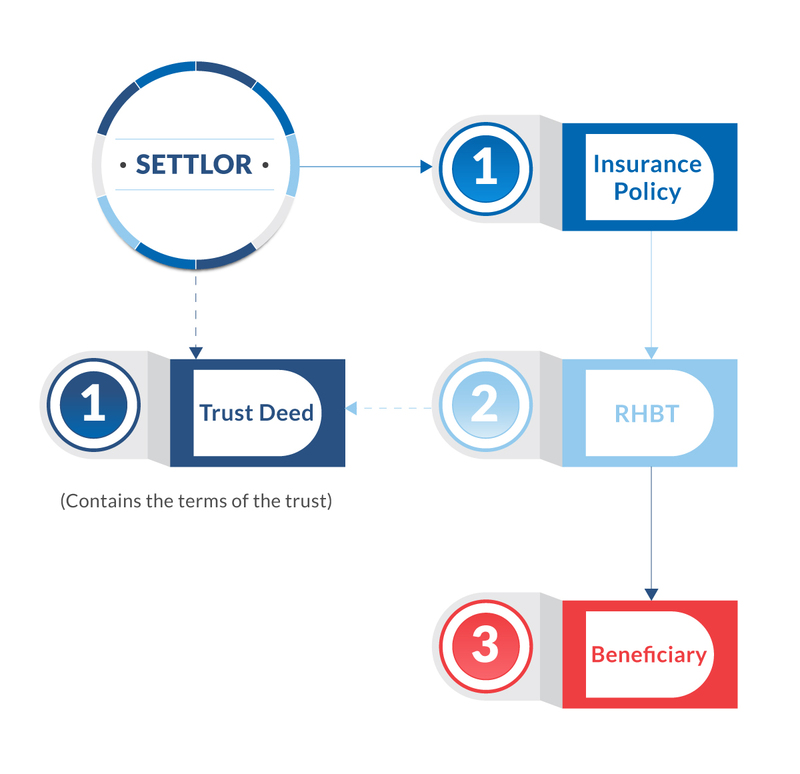 As trustee to unit trust schemes, RHBT will take custody and hold assets of the UTS for the benefit of the unit holders and ensure that the UTS are managed in accordance with the provisions of the deed, prospectus, regulatory guidelines and securities laws. In carrying out it duties and responsibilities, RHBT will exercise all due care and diligence to safeguard the rights and interests of the unit holders. The core responsibility of the Fund Valuation and Accounting team in RHBT is to compute unit price/net asset value calculations while maintaining highest quality levels of accuracy and timeliness. In a REIT, the role and duty of the trustee is to act as custodian of the assets of the trust fund (take into its custody or under its control) and to safeguard the interests of the unit holders. The trustee is obliged to act with due care, skill, diligence and vigilance as well as in accordance with the deed of the fund, the Securities Commission (SC) Guidelines on REITs and applicable securities laws in carrying out its duties and responsibilities. Trustees are required to actively monitor the administration of the fund by the management company to ensure that the interest of the unit holders are upheld at all times. RHBT carries out all of the above-mentioned roles, powers and duties and are currently the Trustee for Axis-REIT and UOA-REIT which were among the earliest listed on the Bursa in 2005 under the SC Guidelines on REITs and we are also the Trustee for Sunway-REIT, one of the largest listed retail REIT in Malaysia. RHBT uses excellent expertise and knowledge in administering the various REIT structures to ensure that the fund is managed and administered by the management company in accordance with the objectives of the fund, deed, SC Guidelines on REITs and securities laws and acceptable and efficacious business practices within the REIT industry. RHBT has the requisite experience in the complete cycle of a REIT from its pre-IPO stage/establishment to its post-IPO stage. We encourage management companies that are planning to setup a REIT to schedule a meeting with us so that we can share and provide them with our expertise and knowledge in administration of a REIT in Malaysia. A Will is a document which expresses a person's declaration of his/her intentions with respect to his/her estate and other matters which are to be carried out into effect after his/her passing. With a Will, you can make clear your intentions and wishes to your loved ones to avoid uncertainties which are normally the cause for many family disputes in estate distribution. What can a Will do for you? Your Faster Way to Distribute Your Wealth A valid Will shortens the process of unlocking and distributing your wealth (estate) to your loved ones. Your Choice of Beneficiaries and Their Entitlements In a Will, you have the liberty to state how your hard-earned wealth is to be apportioned among your loved ones upon your demise. Without a Will, this will otherwise be decided by the law and such apportionment pursuant to the prevailing law may not be according to your wishes. Your Appointment of Your Trusted Executor(s) A valid Will also allows you to clearly state who you wish to appoint, to carry out your wishes for your loved ones. Your Testamentary Trust and Your Wealth Purposefully Used You may wish for some of your wealth to be used purposefully by your loved ones, for example, to safely and steadily provide for future expenses such as your children's education and your elderly parents' living expenses. You may set up a testamentary trust in your Will to entrust a trustee of your choice and confidence to carry out your wishes after your passing. Your Choice of Guardian(s) for Your Children A valid Will would allow you to appoint the guardian(s) of your choice and in whom you have confidence to care for your minor children (below 21 years old) during their growing and formative years. RHB Trustees's Custodian Services offers a comprehensive Will Custody System that ensures the safekeeping and easy retrieval of your Will to prevent delays in distributing your wealth to your beneficiaries. A Will serves no purpose if no one can find it. Your Will is systematically catalogued and securely kept in a fire-resistant safe. The confidentiality of your Will is preserved. Your Will can be easily located and retrieved when the need arises. An Executor(s) who can be either an individual(s) or a trust corporation like RHBT is/are appointed in the Will to carry out the instruction of the testator (maker of the Will) and administer the estate for distribution to the intended beneficiaries. The Executor(s) should be a qualified professional who has the knowledge, experience and commitment, a party whom you can trust to independently carry out your wishes upon your demise. RHBT offers you such competent Professional Executor services that your loved ones deserve so that you can be confident that your estate is adequately managed. This solution is suitable for small/medium sized private limited companies, in which the parties will execute a Buy-Sell agreement and trust deed by appointing RHBT for the distribution and assignment purposes. The deceased owner's share will be sold to surviving owners at a fair market value that have been agreed upon earlier by all the owners. The fair market value can be periodically reviewed as agreed by the parties. In order to facilitate the purchase of the shares/interest of the deceased by the surviving owners, usually life insurance policies are used. Each shareholder/partner is the applicant and premium payer and the assignee of the insurance policies is RHBT. In the event of a shareholder's death or total and permanent disability or serious illness, RHBT will use the policy proceeds to purchase an equal share of the former shareholder's interest and the business interest/shares are passed to the surviving business owners. Custodian Trustee holds the assets and act as a Bare Trustee without having the power to manage the assets. Custodian Trustee only acts on written instructions and usually from the appointed Trustee or the parties who appointed the Custodian Trustee. The Custodian Trustee holds the title to all the property of the trust but is not involved in the day to day management of the trust. 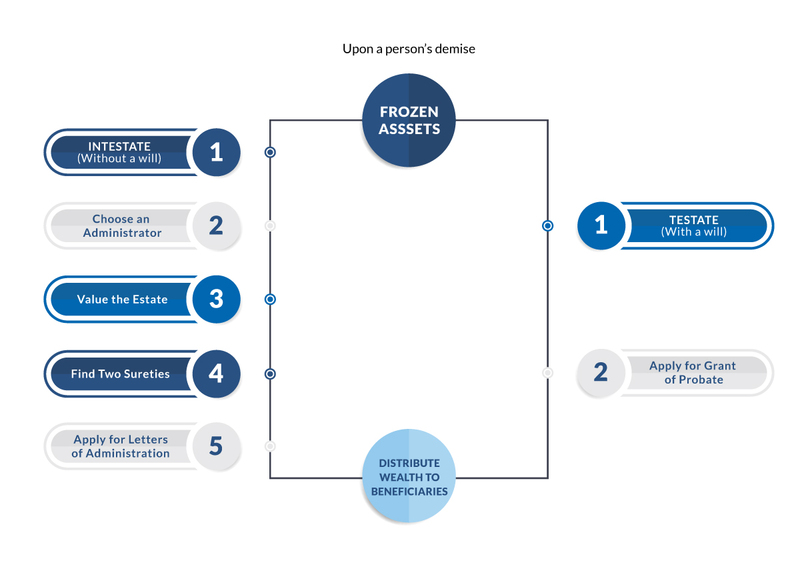 CustodianEstate administration is the process of distributing the assets of a deceased person's estate to their beneficiaries as set out in their Will, and making sure their assets are transferred to beneficiaries as smoothly and efficiently as possible. This task is carried out by the executor of the estate who is named in the deceased's Will. If there is no Will, then the task is carried out by the administrator of the estate. Depending on the complexity of the estate and the number of assets and beneficiaries, and estate can take anywhere from six months to several years to administer if there are assets to sell, or any legal or family issues. Apart from being time consuming, acting as executor or administrator is also a serious legal responsibility. That's why it is important to choose an executor for your will who is capable. Life insurance is an integral part of Financial Planning and is essential in providing security to your loved ones if an unforeseen event was to occur. However, nomination of your Life insurance is not sufficient to provide security to your loved ones. The solution is to set up an Insurance Trust that allows you to plan for all contingencies. You can create an Insurance Trust by an absolute assignment of your life insurance policy to the Trustees. Once the proceeds from the Insurance policy is paid to the Trustee, the funds in your trust would be readily available to take care of your loved ones. Insurance Trust does not form part of your estate and consequently is not subject to claims on the estate. There is no requirement to wait for your Grant of Probate or Letters of Administration to be extracted, thus your Insurance Policies are not frozen. The Trustees can also use the Insurance Policies proceeds to pay for debts and mortgages in your Estate and especially before the Grant of Probate or Letters of Administration is obtained. This is when a Private Trust is established in a suitable offshore jurisdiction. Generally offshore trusts are similar in nature and effect to their onshore counterparts; they involve a settlor transferring assets on the trustees to manage for the benefit of a person or class of persons called the beneficiaries. However, a number of offshore jurisdictions have modified their laws to make their jurisdictions more attractive to settlors forming offshore structures as trust. Offshore Trust may be set up for confidentiality, tax planning and bankruptcy protection. Why Set Up a Private Trust? There are many reasons to set up a private trust and choose a product that meets your requirements. Settlor has the freedom to determine who, when and how distributions are to be made; Assets held on trust are not frozen upon the Settlor's death. Therefore, Beneficiaries will have immediate and uninterrupted access to funds without the need to apply for Grant of Probate. This is very important especially in the unfortunate event of co-disaster of parents living young children behind. To protect family wealth against spendthrift and immature beneficiaries; For wealth to be retained in the family for more than 3 generations. To provide for living, education and medical expenses for your dependents To ensure that medical, nursing care and other expenses are taken care off during your old age or incapacity. To protect family assets from creditors and claimants (subject to Bankruptcy Act 1967). Assets are held in the name of the Trustee and the identity of the Settlor and Beneficiaries are concealed. Trust Distribution is exempted from following Faraid Distribution for Muslims. Beneficiaries and manner of distributions of your choice. Private Trust is a versatile tool that allows you to plan for wealth distribution, preservation, protection and distribution. We are here to assist you to plan and structure your Private Trust. A Private Trust but has a public character and is set up for certain purposes beneficial to the public or a segment thereof. Charitable Trust is set up for the relief of poverty, advancement of education, religion or other purposes beneficial to the community. There is no perpetual period for a Charitable Trust. A Private Trust but the funds are invested by Fund Managers. You are able to maximise the value of your liquid assets by having a panel of professional fund managers who are appointed by RHB Trustees Bhd to invest the funds. The investments can be local or off-shore or a combination of both if the fund size is substantial. In certain commercial exercises, the parties involved may require an independent and impartial third party such as a Trustee as the stakeholder or escrow agent to hold funds, shares and/or other types of assets until certain stipulated conditions have been satisfied. After which, the stakeholder/escrow agent will release/disburse the assets in questions in accordance to the terms of the agreement. Unlike other private trusts, a testamentary trust is intended to take effect only after the demise of the creator. You can create a testamentary trust by appointing a trustee under your duly executed Will to hold certain specified funds or property upon trust for your loved ones as beneficiaries. By creating a testamentary trust, you will be able to direct your trustee to distribute the funds or property under the trust in the manner of your choice over a period of time in the event of your departure. More often than not, most testamentary trusts are created for the maintenance or otherwise benefit of minor children, elderly parents and other next-of-kin who may be your dependents. The purpose of an Employee Share Option Scheme is to provide an employer with the means of recruiting, incentivizing and retaining chosen members of staff by issuing them with current or future allocations of shares in their employment company. This may be to ensure attraction and retention of key staff and as part of a succession planning programmed, to motivate higher performance and profitability or to reward performance. In the interests of providing good corporate governance and ensuring the employees can have confidence in their interests being handled by a professional and impartial administrator, it is usual to appoint an independent Trustee to administer the Scheme and base the Scheme in a well regulated and reputable jurisdiction with the expertise to meet the needs of the Scheme, the employer and employees. Under Section 84 of the Companies Act 1965 and provisions of Division 5 of Part IV of the Companies Act 1965, Policy Guidelines and Requirements issued by Companies Commission of Malaysia from time to time, Companies running the business for Memorial Parks have to register their Schemes with the Companies Commission of Malaysia. A Trustee has to be appointed to manage the funds of the investors. The Minister on the recommendation of Bank Negara Malaysia may, having regard to the nature of the undertaking scheme or enterprise, contract or arrangement to which the deed relates, grant his approval subject to such terms and conditions as he thinks fit to such other person acting as trustee or representative for the purpose of the deed. Companies may set up their own Provident Fund and a Trustee is required to hold the assets in the Provident Fund. Approval from Inland Revenue Board under Section 150, Income Tax Act is required to set up this Provident Fund.